I was talking with Amanda Joshi, Chemical Processing's managing editor, about the upcoming salary survey and job satisfaction article she will be writing for the April issue. Last year's survey broke the record for most responses – 1,827. This year we are on track to break that record again (we're at 1,677). The detailed survey asks questions about education, pay scale, perceived likelihood of lay offs, job security, what workers dislike, and what leads to satisfaction to name a few. All questions are aimed at giving a genuine outlook for the chemical industry. Once the survey has closed, Amanda is tasked with crunching the numbers and slicing and dicing the data to make sense of what survey respondents have submitted. Last year we found out that readers were confident about job security, that their salaries had declined and that they are – for the most part – satisfied with their jobs. 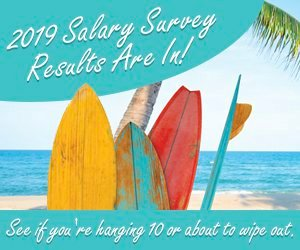 Be sure to read 2010 Salary Survey: Clouds of Concern Begin to Clear to learn even more about the results. There is still time to participate in this year's survey – the polls don't close until March 1. Make your voice be heard and take the survey now. We'll let you know how you stack up to the rest of the industry come the April issue.